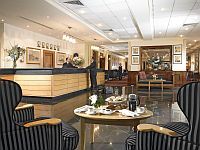 Dublin hotel in the City centre, The Alexander Hotel offer 4 star luxury accommodation and the perfect location when considering places to stay in Dublin. Excellent conference and wedding facilities are available at the Alexander hotel. 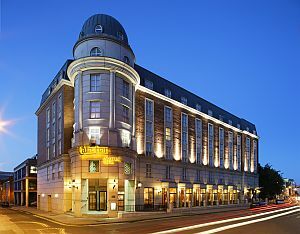 TThis Dublin hotel in the City Centre, O'Callaghan Alexander Hotel is a modern, bright and contemporary hotel which is both spacious and welcoming. The Alexander has extensive purpose built meeting and conference facilities on site and has hosted many national and international events over the years. Located in a quiet corner just off Merrion Square, the Alexander is in the heart of Dublin City and close to Book of Kells, The Jameson Distillery, Christ Church Cathedral, The Chester Beatty Library and much more. The luxurious Alexander Hotel welcomes you into its spacious lobby where you will be greeted with a warm welcome. Situated only a few steps away from Merrion Square and less than 5 minutes walk from Trinity College and the infamous Grafton Street. This central hotel offers a great location, superb facilities and excellent service in the quiet surroundings of one of the most beautiful Georgian areas of city centre Dublin. At the O'Callaghan Alexander Hotel Dublin there always is soft ambient music background at the lobby for our guest to enjoy and relax. The Hotel is located only a short journey away from live music venues: the 3 Arena, Bord Gais Energy Theatre, Gate Theatre, and Abbey theatre. Caravaggio Restaurant at O'Callaghan Alexander Hotel is comfortable and spacious with our traditional Irish breakfast being served here. Your accommodation in Dublin wouldn't be complete without trying our traditional Irish breakfast. Winner's Bar is located off our bright airy lobby and is a bright and welcoming bar for lunch or coffee and a delicious bar menu is available all day. Winner's is a popular destination for informal meetings and our gourmet sandwiches are always an excellent choice. 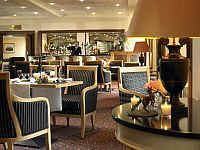 A perfect meeting location place for a social gathering or just informal drinks after work. The Alexander Hotel Dublin offers guests 24 hour access to our gym & fitness suite which has a range of cardiovascular equipment. For guests who wish to take a city run, the team would be happy to direct you towards interesting routes for runners offering you an opportunity to see the city and its many elegant and interesting gardens and parks. Dublin Bikes are available throughout the city and there is a station on Merrion Square beside the hotel. The Alexander Hotel nestles in one of the best meetings and events venues in Dublin. The hotel is close to transport links from every part of the country, by LUAS, Coach, Train, DART or by car and the Aircoach stops beside the hotel so guests flying in to the city have a direct link to Dublin Airport. The hotel's event's facilities are available for conference & exhibitions, meetings, weddings and for any special events, please here click for more information!